The NW Energy Coalition, the region’s premier alliance of consumer and environmental groups, utilities, businesses and others committed to building a clean and affordable energy economy, today praised the bill-reducing energy efficiency goals included in Oregon’s draft 10-year energy plan. Gov. John Kitzhaber’s draft plan, released today, calls for meeting 100% of new power needs by getting more out of the power we already produce. That goal exceeds the 85% efficiency target established in 2010 by the region’s official power planning agency, the Northwest Power and Conservation Council. 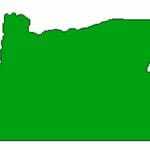 “While the draft plan goal exceeds the Council’s region-wide target, it’s a practical goal that accurately reflects Oregon utilities’ ongoing achievements,” said NW Energy Coalition senior policy associate Wendy Gerlitz of Portland. Oregon utilities as a whole were responsible for 36% of regional utilities’ record efficiency savings in 2010, even though Oregonians comprise just 28% of the region-wide power demand. Saved enough energy to power all Portland homes for a year and heat all homes in Pendleton for five years. Reduced utilities’ costs for serving their ratepayers by $1.8 million. Created 2,500 jobs and $90 million in wages and business income. Gerlitz said the Coalition looks forward to working with other public-interest groups, state officials and all stakeholders to finalize a strong 10-year energy plan for Oregon.